Pure excitement is exuding from every fur follicle on your beloved canine’s body. The tail is wagging ferociously. The gigantic smile that spans from one floppy ear to the other seems to encompass her entire face. 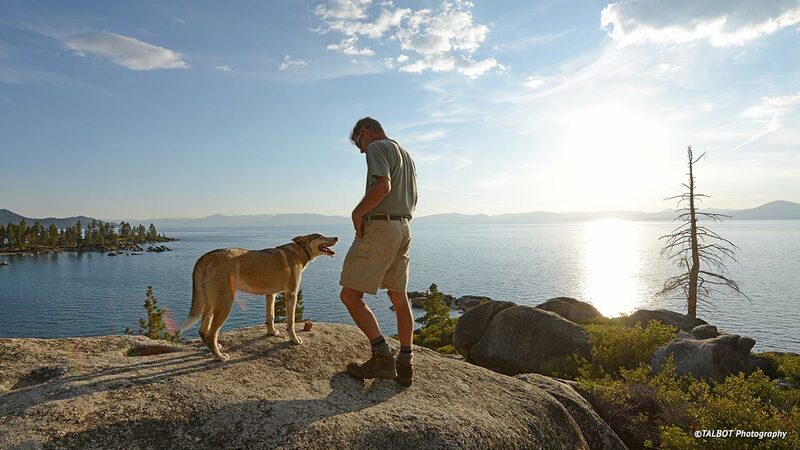 It is safe to say that for your pup, Lake Tahoe truly is the tail wagging the dog. Lake Tahoe is a doggy paradise. If you’re visiting the area and you leave your four-legged companion at home, you have done him or her an injustice. 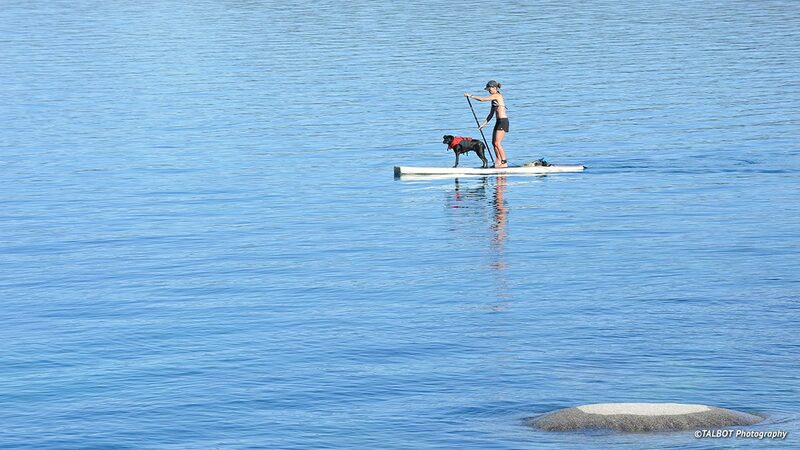 There may not be any other place on the planet better for dogs than Lake Tahoe. For the locals, the love that Tahoe offers to dogs is an absolute given. 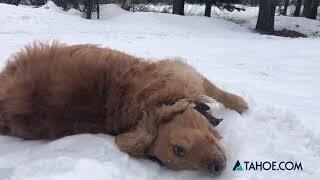 In fact, many people move to Tahoe because the area is a dog’s best friend. There is, literally, a dog’s lifetime’s worth of fun to have in the nooks and crannies here. Add to that the lack of ticks, fleas, rattle snakes and outrageously hot weather, and it is easy to see why this area is a place of delight for our four-leggers. Of course that joy extends to visitors with canine companions, with a little help from those in the know. It can be a bit overwhelming choosing the best beaches (there are a few Lake Tahoe beaches that don’t allow dogs), trails and places to take your dog to dine – yes, dine! One business that has taken it upon itself to offer extensive services to visitors with four-legged kiddos is Tahoe Moon Properties. A vacation rental company offering more than 50 dog-friendly homes, they take the love to the next level, giving each guest a dog basket filled with doggy necessities, dog blankets and towels, pick-up baggies, lint brushes (for our shedding friends) and a dog-friendly guide book to Tahoe. The folks at Tahoe Moon are dog lovers. Knowing the ins and outs of where to go and when to go is their specialty. “Not only are there a multitude of both winter and summer activities for us humans, but there are also many places to enjoy activities with your dog. 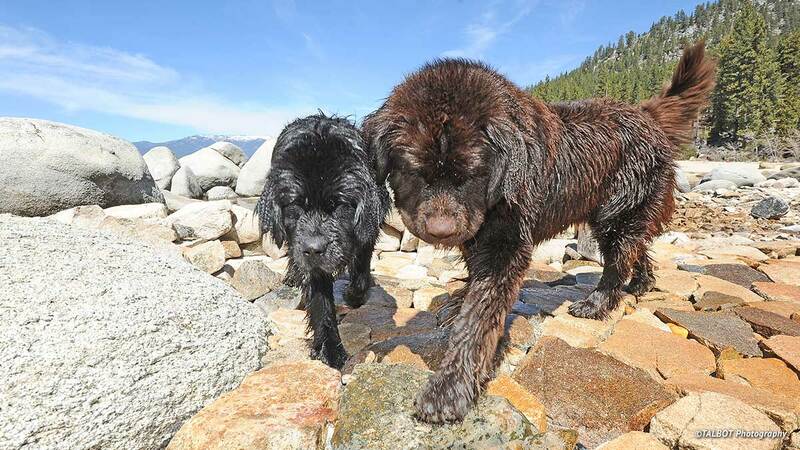 Hundreds of dog owners visit Lake Tahoe each year with their furry friends, and you will find it hard to find a resident who doesn’t have their own pup. 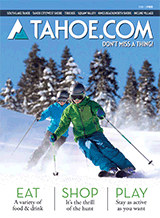 In addition to the outdoor splendors for dogs, there are a huge number of rentals, hotels, restaurants and pet lodges that welcome your four-legged friends.” Tahoe Moon’s expertise is a huge help in making sure your time in Lake Tahoe is spent having fun instead of researching where to have fun.